Oxford Health pledges to support Step into Health initiative to get Armed Forces veterans into NHS careers. Last week marked the launch of the Step into Health initiative, to encourage Armed Forces veterans and their spouses/partners to consider jobs in the NHS. Oxford Health has pledged to support the initiative: find out more about how we support armed forces personnel and their families. 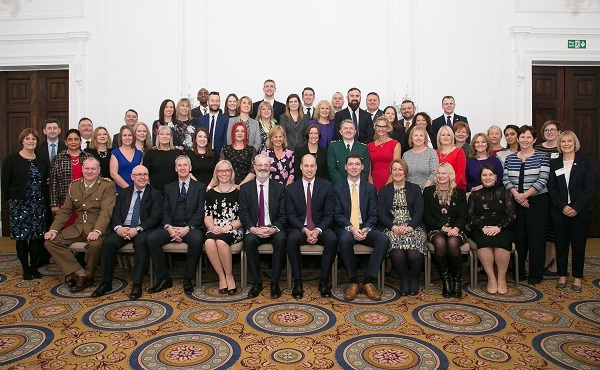 The programme has been created because the NHS recognises the transferable skills and cultural values that armed forces personnel develop when in service, and how compatible they are with those required within NHS roles. As part of the launch, BBC Oxford interviewed Dave Foster, an armed forces veteran who is now a psychotherapist at the Oxford Health partnership TalkingSpace Plus, about his experience on making the transition. The scheme is backed by Walking With the Wounded (a charity that supports vulnerable veterans) and Prince William, who attended a launch event for the initiative in London on 18th January 2018. 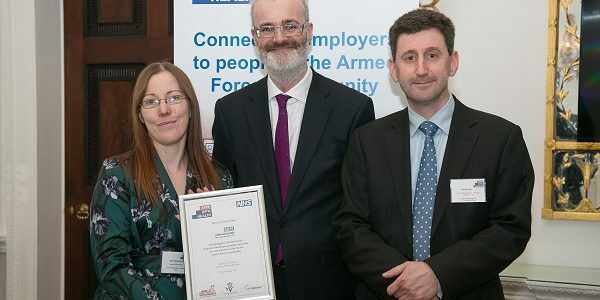 Also in attendance from the Trust were Martyn Ward and Diane Woodward, Armed Forces Champion at Oxford Health (pictured, left and right, with Danny Mortimer, Chief Executive of NHS Employers at centre). Martyn (also pictured with Prince William, left on third row), the trust’s Interim Director of Strategy and Performance, said: “We are very proud of our armed forces and are delighted to be able to support the national ‘step into health’ programme for members of the armed forces and their families to join the NHS.